The danger of expectations… But the pleasure when reality is even better. I have been waiting like an impatient child for the day wonderful paradise COW get their first precious bottles of the Van Noten/Malle amazingness. The joy when it turns out there was a sample enough for me to get some precious perfume on my wrists before the shipment arrives. So I spent a beautiful spring day contempleting whether my expectations had been met or not. Or not really. After about ten minutes I knew. 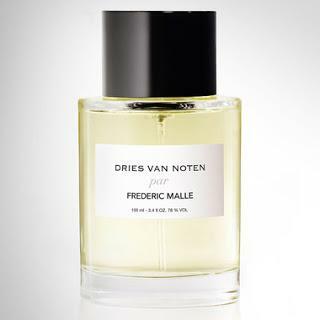 Dries van Noten’s olfactory fusion with Malle’s knowledge and ambitions is divine. After an initial meet-cute between what on me smelled like almond cookies with apricot jam in a Meditteranean citrus garden… the most amazing seductive colonial romance took over. Wrapped in incredibly soft well-balanced heart and basenotes. I sound uncritical but I was instantly (for many instants) genuinely seduced by this creation and I am so happy that it has been made. Even the delay (it arrives in store a few months later than planned) feels positive because it is obvious that this is careful dedicated work. It is one of the most comforting yet elegant perfumes I have ever smelled and seems to have just the perfect amount of everything. It soothes and caresses and feels like a conversation about life where you never have to worry about being misinterpreted. For something that is defined as an oriental woody fragrance I would say that this is quite soft. In the drydown you have a gentle floral feeling that rests with great poise on the tonka bean, vanilla, cloves and nutmeg. I would say that a general impression of this fragrance is this collected poised feeling. It is centred. And very balanced. A special spotlight should be put on the sandalwood. It has been many years since sandalwood grown in a sustainable way was available for perfumes. The comeback itself is great news. 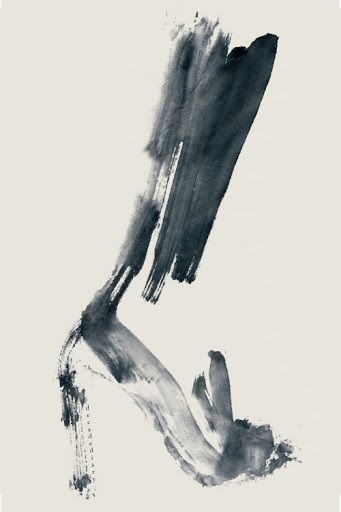 To see it used in this gentle way is lovely. Apart from the already mentioned notes the perfume features guaiac wood, saffron, jasmine, musk, bergamot, lemon, patchouli, and peru balsam. Reading this, my guess is some of you, like I did, would expect a more heavy or demanding eclectic kind of fragrance so for those who hesitate for such reasons I want to stress that it is really quite gentle. The jasmin is more present for a moment, after a couple of hours on me, and then I sense this almond/apricot thing of unknown origin in the top notes. But the dominating sensation is something I would describe as balsamic, spicy and woody. The nose behind this fragrance is worth mentioning: Bruno Jovanovic. He has not made that much noise prior to this but my guess is we will hear his name a lot in the future. I will love this perfume many times. I think it works on almost everyone, except people who are arrogant and mean. If you are one, stay away. A great video about the collaboration.